When it comes to being accommodating, North Carolina is one of the friendliest states for major film commissions. The state is widely known to attract major ventures due to its generous film incentives. In some cases, productions receive a rebate of up to 25 percent of their expenses. These creative agencies are always looking for highly trained animators. There are also many opportunities in the thriving education system for teaching the craft in colleges and universities, not to mention elementary and secondary schools. The industry also pays well in many areas. The generous salaries earned by top artists in the craft enjoy a part of earning in the fourth highest genre in the state. About: The curriculum you will find for this two year degree is diverse and comprehensive. Department faculty will guide you through a carefully designed program that meets the broad based criteria for today’s simulation and game development professionals. The classes include industry standard concepts in design, modeling, creative writing, programming, animation techniques and more. You can expect to gain expertise in the areas of visual and creative arts as well as audio and video technology. Realizing the importance of maintaining pace with the rapidly changing and growing industry, you will work with up to the minute versions of many of the software used in today’s productions including: Microsoft XNA, Game Maker, Unreal Engine, Adobe Master Collection, Unity3D Engine and more. All of the courses offered meet the stringent national standards for the gaming industry. 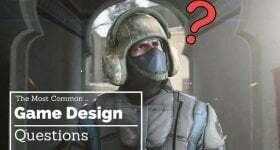 With such a rich and diverse area thriving with well-known companies, the college maintains lucrative contact with several local game development companies which include such well-known names like Red Storm, Virtual Heroes and Epic Games. Upon completion of the program, you will find yourself qualified for positions such as quality assurance analysts, animators, artist, designers, programmers or even engineers in several industries. Education, entertainment, health care, forensics and government agencies are always looking for highly trained talent to join their teams for a multitude of expanding and growing positions. 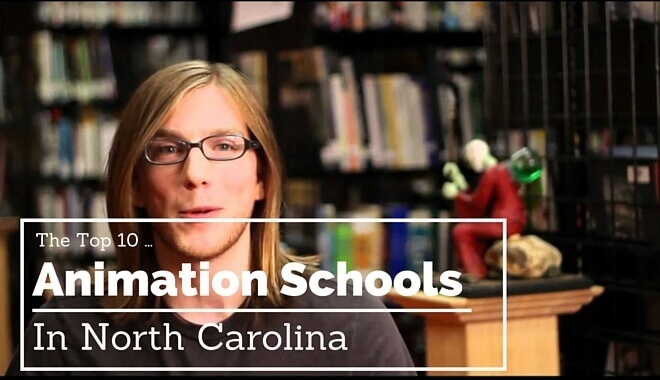 About: Located in Winston-Salem, you have two options for pursuing an education in animation. When choosing to pursue a Certificate program in Gaming Design, you will embark on a 14 credit course selection that will provide training in computer hardware and software applications, nonlinear editing, the creation and manipulation of digital images as well as computer animation. At the end of this program, students who complete the required courses will be able to create moving images and manipulate captured images that can be used in a wide range of applications. If you decide to complete the program for an Associate of Applied Science in Simulation and Game Development, you will take a five semester course, including one summer session. You will become proficient with up to date hardware and software that are current media industry standards. Students are expected to possess a solid drawing and sketching aptitude as well as basic computer skills that are comprised of a working knowledge of graphics and imaging processing programs. This in-depth program will prepare you for an entry level position in many animation and graphics related positions. About: Students who are pursuing an Associate of Applied Science degree in Digital Effects and Animation will take a five semester program that includes one summer session. A comprehensive array of courses that involve specialized education in 2D and 3D animation, drawing, modeling and computer graphics are just the beginning. Integrated into the program are Fine Arts, Multimedia and a Work Based Learning summer module that incorporates real world learning into the program that will enrich your experience and give you a real world, hands-on experience in the world of animation. If you are seeking a Certificate in Digital Effects and Animation Technology – Graphics and Design Certificate, you will take a two semester journey into the basics of computer animation. Suggested coursework will take you through a 17-18 credit experience with classes such as internet multimedia, computer graphics and computer arts. About: You’ll find the Associate Degree available in Advertising and Graphic Design to be thorough. This five semester degree is put together quite nicely, with a wide array of courses designed to put you on the right educational track for a career in these two quickly growing fields. Demand is high for qualified and well-trained graduates in this genre. Your first and second semesters combine courses that provide a well-rounded knowledge base in the basic concepts necessary to build your animation knowledge. Drawing and Typography are combined with computer design basics, art appreciation and graphic design. During the one summer semester, you’ll explore the field with more intensity with an internship while taking illustration along with writing inquiry concurrently. The fourth and fifth semesters pick up the pace and finish up with strong coursework in portfolio design, digital print production, advertising and sales promotion as well as your electives that will round out your degree. If you choose to pursue the Certificate in Advertising and Graphic Design, you will take a two semester program that will provide you with the basics in which to procure an entry level position into the field and perhaps send you further into animation academia with a further degree and beyond. You’ll explore the basics in computer and graphic design and the applications used in digital creation. About: Sandhills Community College offers four different certificates in the Digital Media field. These four targeted certificate programs are unique and offer a specialized approach to entry level job pursuit in the field. You will find advanced, industry-standard approaches with all of these targeted programs. The Certificate in Digital Media program provides instruction in web-based material and interactive products skills. The program focuses on production at the desktop level. Using up to date software used in today’s top companies, you will gain skills in visual effects, compositing and editing. You’ll learn the basics of design theory that is crucial in producing the highest quality products that are vital in today’s competitive field. For those already working in the field or possessing a degree, this option is a good option for updating existing skills. Another choice you might consider is the Print Design Certificate. Learning the key components of design elements that businesses are looking for to lay out and produce high quality graphics is the main focus here. With many businesses working with on location creation of graphics, this is a great foundation certificate. The Web Content Management Certificate focuses on the development and maintenance of dynamic and interactive websites using open source CMS. Finally, the Web Design Certificate brings you back in focus with graphics manipulation using industry-standard software. You will learn about up to date software applications and how they work to produce online design. You will walk away with a strong knowledge of web page creation utilizing hand coding as well as web creation software. About: The curriculum designed for an Associate in Applied Science in Advertising and Graphic Design consists of a five semester course that combines the key components of the world of advertising with the need for advanced and highly relatable graphic design required for the profession. You will learn about the many facets of the genre including the preparation of printed and digital promotional items through design, illustration and more. Upon successful completion of this program, you will be ready to explore many employment options with design studios, advertising agencies and a varied assortment of industries looking to incorporate a trained graphic design student into their ranks. About: At Wake Tech, you will have the opportunity to explore the different certificate options available in Simulation and Game Development or pursue your Associate in Applied Science in Simulation and Game Development. The curriculum explores a wide range of courses designed to give you an industry level working knowledge of creative and visual arts, design, animation, programming, modeling and audio and video technology. You will also benefit from the practical training with industry-standard software that give you an edge in this competitive field. The school’s advisory board has members who represent many of the video game and simulation businesses in the area as well for a true, local perspective of what companies are looking for. About: At Living Arts College, their Bachelor of Arts in Animation and Game Design program is designed to give you a four year degree in three years. It is modeled around a year round program that doesn’t compromise on educational quality, but saves time and money for your education and gets you into the workforce quickly. The program is focused on many concepts of creativity related to environment, motion, story, modeling, timing, composition and more. You will create a highly professional portfolio that will put you in front of the top animation companies with this accelerated degree. If you are seeking more of a certificate level experience in Animation and Game Design, there are two professional intensive diploma courses available. The PID in Animation and Game Design will provide instruction in the development of content, structure and assets for interactive gaming development. The Animation and SFX option will put you on a course to learn about film and broadcast production that includes higher resolution production as well as instruction in compositing and layering.